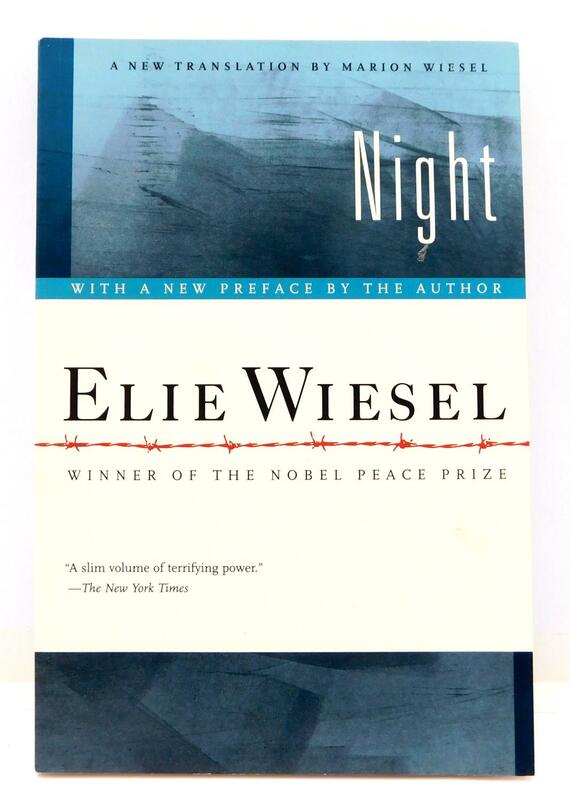 I recently finished reading Elie Wiesel’s book, Night. For the second time. It was required reading when I was in middle school, so I remember complying with the class assignment as a dutiful, adolescent reader. But this reading of the book — as a considered, adult reader — felt very different. I knew that Night was supposed to be powerful, but I truly felt the effect on this reading. What’s most amazing to me is the concision of the story. It does not attempt to be a complete history of the Second World War, or even of the horrors of the Nazi concentration camps. On the contrary, it is a micro-perspective, one boy’s experience, with just a subtle touch of his older self’s wisdom to season the narrative. It leaves so much of the war’s terrors untold! But somehow, in the highly-specific memoir of Wiesel’s adolescent experiences with his father, we get a picture of the Holocaust that’s incredibly universal and meaningful. I read the whole book in less than a week (and I am a very slow reader). It engaged me, but not because the plot was so compelling or clear (which is usually what propels me through my favorite books). It disturbed me, but not in the same way that a scary movie would. It made me question my humanity and my sense of divinity. It was a stark sketch of human depravity and death — but it was also, surprisingly, beautiful. I don’t exactly know how to describe my experience with this book, but I’m grateful to have had the experience. This entry was posted in Europe, Introspection, Recommendations, Recommended Reading. Bookmark the permalink.